In the last chapter, we talked about the different parts of a kitchen knife. Now, we’ll discuss the different types of blade materials available. You need to have a working knowledge of the various steels so that you can make informed decisions when selecting kitchen knives. There are 3 steel qualities that are important for knives, especially kitchen knives. Unfortunately, you can’t have all three. A knife with great Edge Retention will be difficult to sharpen when it does get dull. A knife with great tensile strength will flex, rather than break, but it will not hold an edge for long. It is easy to sharpen, on the other hand. Adding enough chromium, and/or vanadium to the steel to make it rust-resistant will make the blade very hard. It can snap from excessive lateral pressure, and will be hard to sharpen. But it will take a very keen edge, and will hold it much longer than a Carbon Steel knife. So, as you can see, everything is a trade-off. If you’ll be using your knife outdoors, or around saltwater, you would want a blade made from good stainless steel. If you need a good sharp blade that can be sharpened in minutes, can withstand a lot of abuse, and will be cared for, a carbon steel blade may be just the thing. Most knives will be a balance between these ex-tremes. The hardness of a knife blade is measure by the Rockwell Hardness Scale (HRC). The HRC units indicate how far a diamond cone can be pressed into the steel. Knife blades will usu-ally be in the range of 50-66 HRC. You most likely will not be going hand-to-hand with a Grizzly Bear with your kitchen knives, and unless you live near the ocean, rust shouldn’t be a problem as long as you take proper care of your kitchen blades. They will be used as culinary tools, and will need to be able to slice things paper-thin, chop frozen meat, make precise cuts, and withstand chemical reactions from things like tomatoes and citrus fruits. That’s a lot to ask for in a knife. Different manufacturers have differing ideas on what steel to use to meet these requirements. There are two main types of steel used to make kitchen knives, High-Carbon steel, and Stainless Steel. High Carbon steel will take an incredible edge, is tough, and sharpens very easily. However, it will rust if not kept dry, and oiled. Stainless Steel is a misnomer. Stainless Steel, also called SS, will also rust if not cared for, but it can withstand much more causal care than High-Carbon steel. SS is harder, will hold an edge longer, but is harder to sharpen. Here are my favorite chef’s knives, made of high quality, easy to sharpen steel. 1055 – one of my favorite knife steels. 1055 has around 0.55% carbon, and some manganese, which makes it one of the toughest steels known. It is very hard to break a 1055 blade. It takes an excellent edge, but you’ll have to touch it up often. 1055 has a Rockwell hardness of 55 HRC. A lot of machetes and meat cleavers are made from 1055, and it is used in many top-end knives with a reputation for legendary toughness. A good 1055 Meat Cleaver is a valuable kitchen asset. 1095 High Carbon – similar to 1055, without the manganese. It makes a slightly stiffer blade, with a little better edge retention. 1095 has a Rockwell Hardness of 56 HRC. 1095 is a very popular steel used in making machetes, axes, tomahawks, survival knives, and Meat Cleav-ers. Properly sharpened, a good 1095 cleaver will go through frozen meat and bone like nothing else can. 4116 Krupp – one of the finest stainless steels produced in Europe. It is made by Thysen Krupp in Germany, and is created to very precise standards. The exact make-up of the steel is a trade-secret, but knives made with Krupp steel have created legends. 4116 Krupp is mostly used in very high-end knives, medical equipment (scalpels, etc…), and top-of-the-line European kitchen knives. It has a perfect balance between toughness, rust-resistance, and edge retention. It has a Rockwell Hardness of around 57 HRC. Great companies like J. A. Henckels, Sabatier, and Wustoff, have all made some very famous chefs knives from 4116 Krupp. A kitchen knife made from 4116 Krupp is an heirloom-quality tool, and a prized pos-session. But be prepared to spend $100.00 (US) or more on one. You get what you pay for. 420J – used on lower-end stainless steel knives. It’s redeeming feature is that it is about as maintenance free as a knife can be. Very rust resistant. 420 will take an acceptable edge, and isn’t too hard to sharpen, but the edge can have a tendency to roll when sharpened, making it difficult to put a good edge on it. This is especially true of very cheap versions of 420J made in places like Pakistan. 420 has an average hardness of 55 HRC. The famous Buck 110 Folding Hunter’s blade is made from 420C. A lot of department store knives (Walmart, etc…) use this steel, which is why they only cost around $20.00 (US). There are a lot of low-end kitchen knives that use this steel. I personally will not buy a 420 knife, but there are people who like them. Like I said, you get what you pay for. If you don’t do a lot in the kitchen, this may be an affordable option for you. 440A and 440C – these are the minimum steels I would accept in any knife. They are the most commonly used steels in mid-grade production knives, and even in some higher-end models. Case Knives, in particular, makes some outstanding heirloom-quality pocket knives using 440C. The difference between 440A, and 440C is negligible for most people. 440A is slightly more rust-resistant, and 440C is a bit harder, but not enough to really make much of a difference under normal use. 440 has a Rockwell Hardness of between 58-60 HRC. The majority of mid-grade kitchen knives are made from 440 steel, or the equivalent. 440 repre-sents an excellent balance between toughness, rust-resistance, edge retention, and cost. Unless you are professional kitchen staff in a very demanding restaurant or other food service job, 440 will serve you well, and won’ t empty your wallet. 154CM – an American version of the Japanese ATS-34 Super-Steel. ATS-34 – a premium stainless steel owned exclusively by the Japanese company Hitachi. It is one of the new breed of Super-Steels, with outstanding edge retention, toughness, and rust-resistance. ATS-34 has a Rockwell Hardness of 59 HRC. It is used on high end folding and tactical knives, custom knives, and infrequently, in some custom kitchen knives. It is very, very expensive. AUS-8 – another of the Super Steels, AUS-8 is a little less expensive than ATS-34, and is a great compromise between durability, edge-retention, and corrosion resistance. It has a Rockwell Hardness of 58 HRC. AUS-8 is used on high-end production knives, and custom knives. CPM S30V – introduced in 2002 by the Crucible Company. It was created to answer the demand from the knife industry for more durable blades in Stainless Steel. S30V has added chromium, vanadium, and molybdenum for almost unheard of corrosion-resistance, and un-believable edge retention. Definitely one of the more expensive steels out there, but worth the money if you have to depend on your blade. It has a Rockwell Hardness of 60 HRC, and makes great, if pricey, custom kitchen knives. San Mai III – a traditional, laminated steel made in Japan, the same way that Samurai Swords have been made for generations. It consists of a high-quality layer of high carbon steel, sandwiched between two layers of high-tensile strength, spring-tempered, stainless steel. This gives the blade the toughness of high carbon, with the edge retention of stainless steel. It is, as you may guess, hideously expensive, but it will make a kitchen knife blade that cuts like a Katana. SK-5 – the replacement for the now discontinued Carbon V steel. It is a high-carbon steel with a Rockwell Hardness of 63 HRC. It has outstanding toughness and blade retention. Seldom used in kitchen knives, I have included it here because I have a Cold Steel Bushman knife in SK-5 that I use in the kitchen for extra-tough jobs, such as peeling the hide from yucas, split-ting coconuts, processing fresh pineapples, and batoning through large, thick slabs of frozen meat with the bones still in them. Ceramic – becoming more popular, these non-steel blades are incredibly sharp, never need sharpening, and do not react with any acids or oxidizers in your food. You can cut lettuce with a ceramic blade, and the leaves won’t turn brown. They are rust-proof, and do not stain, period. But, they can be broken if care is not exercised. Homo habilus revolutionized the world by figuring out how to modify certain rocks into usable tools, around 2.5 million years ago. We believe the first crafted tool was the hand-axe, which doesn’t really look like much upon initial examination. It looks like a rock, but if you look closer, you can see that one edge has been sharpened significantly by chips being knocked off of it, in a process known as ‘knapping’. The hand-axe was the Swiss Army Knife of the prehistoric world, used for everything from skinning, digging, slicing, chopping, to whacking an enemy over the head with it. It wasn’t long before early human ancestors figured out how to apply this technique to make other tools, such as spear heads. At some point, probably around the time Homo sapiens arrived, someone figured out that spearheads make good cutting tools, but the handle was too long. They shortened both the blade, and the shaft, and thus, the first knife was born. It is hard to imagine us being able to survive as a species without the knife. After fire, it quickly became one of the most important things a person could have. Knives were crafted from specific rocks, that fractured correctly to be able to create a sharp edge, Suitable rocks were chert, flint, and obsidian, which still makes the sharpest edge known to humankind (obsidian is a natural glass formed by volcanic action. Modern glass can be knapped to just as fine an edge…). Knives and bladed weapons continued to be used even beyond the beginning of civilization. Copper, and gold were the first metals that people learned how to work with, but they were un-suitable for edged tools. They were too soft to take an edge. Around 3000 BC, simultaneously in Egypt and Sumeria, probably by accident, someone found out that mixing tin with copper while smelting it made it much harder, and the Bronze Age was born. Knives and swords were made from bronze up until the Iron Age. Around 1200 BC, in Anatolia, someone figured out how to smelt iron, and hammer it into usable shapes with hard, sharp, tough edges. Iron weapons, in the hands of Greeks and Romans, easily outclassed the puny Bronze blades of other cultures. Around 500 BC, in Rome and Greece, steel began to be used to make devastating blades. No one knows exactly when it happened, but somewhere, while someone was smelting iron, some carbon contaminated the metal, making it stronger, tougher and it held a better edge. By varying the amount of carbon, and other metals in the steel, they found they could bring out the desired qualities in steel for different purposes, such as resistance to rust, tensile strength, and edge retention. This brings us into the modern world of cutlery. Although a good White Arkansas Stone will sharpen any knife, given enough time and effort, stainless steels, and super-steels can be sharpened much easier on a diamond stone. Sharpeners with carbide steels will also make short work of SS and super-steels. Most good-quality electric sharpeners, and some hand sharpeners will also do a good job on stainless steels. For high carbon, just about any decent sharpener will work. It should go without saying that if you cook very much at all (and I am not talking about re-heating processed foods…..yuuuk!) you should get the best quality kitchen knives you can afford. You will be glad you did. And good knives deserve good treatment, so don’t skimp on sharpeners. 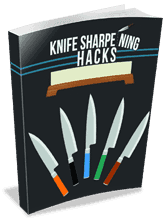 » Kitchen Knives » What Is The Best Steel For A Kitchen Knife?